Kolka is Dora's dream come true. The daughter of a tea planter, Dora's childhood was spent in the tea gardens of Assam. Some of her earliest memories include exploring the nearby villages with her mother, who has always loved handicrafts. Together they would pass women intricately weaving and printing their own beautiful fabrics. These unique experiences would instil Dora's unshakable passion for textiles as a young adult. She studied design at the National Institute of Fashion Technology , India's premier Institute of Design, Management and Technology where professionals get their head start to merge into leadership positions in fashion business on the global scene. Upon graduating from home accessories design, she moved to Australia in 2004 and continued her studies, this time in interior design. She currently also works for the Victorian Government and has a Masters degree in International Business. Travelling to India in 2014 Dora saw beautiful hand block printed quilts. Her research took her to people who who did the hand block printing where she now has it made, incorporating many of her own designs and colour combinations. She also has sole input in the spacing of the block print designs. Jaipur rural craftsmen from Rajasthan use vegetable dyes and organic cottons only with no chemicals on the beautiful quilts and home decor. Kolka is so named after a symbolic paisley pattern, a popular motif used in Indian hand crafted fabrics that signify creation, abundance and the totality of life within a drop. 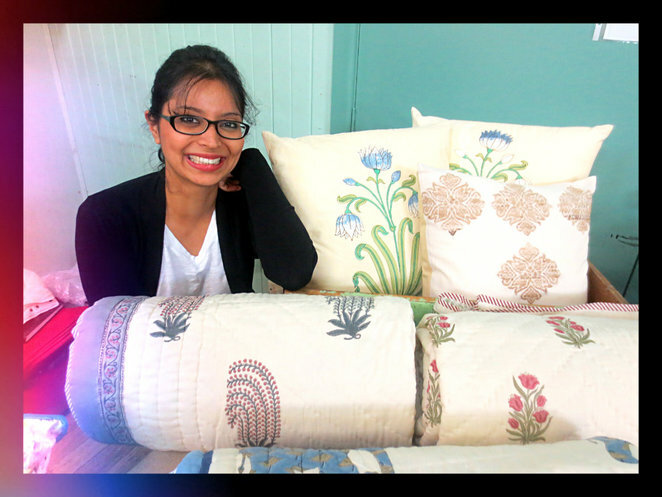 Her cushions have prints from the Mughal era during the existence of Kings and Queens, the last Mughal king exiled by the British in 1857. They are now digitally printed and are usually inspired by a combination of paisley and botanicals. You'll find beautiful hand block printed and woven bed and table linen, hand woven, pure cotton, velvet and silk cushion covers, Kashmiri handbags that are handmade and chain stitched and jewellery at this market stall. Check out their website for the full range of products and you can even shop online.. Kolka also has a Facebook presence, and is also on Instagram and Pinterest. Check out their pages for beautiful images of their products. Why? 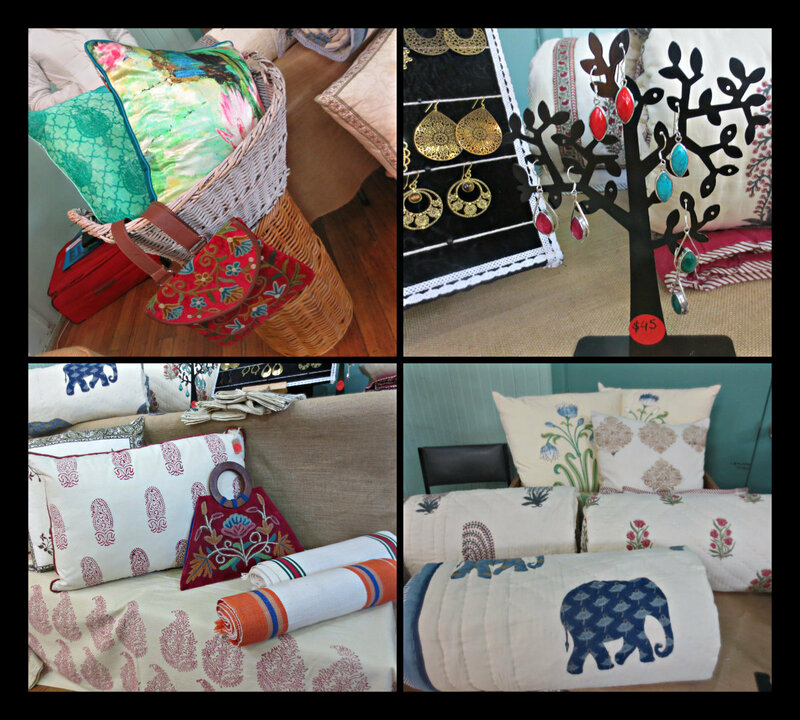 Pure cotton, home decor, hand block printed quilts, cushions and more including handbags. Where: Follow the FB page to find out which market Kolka is at next. 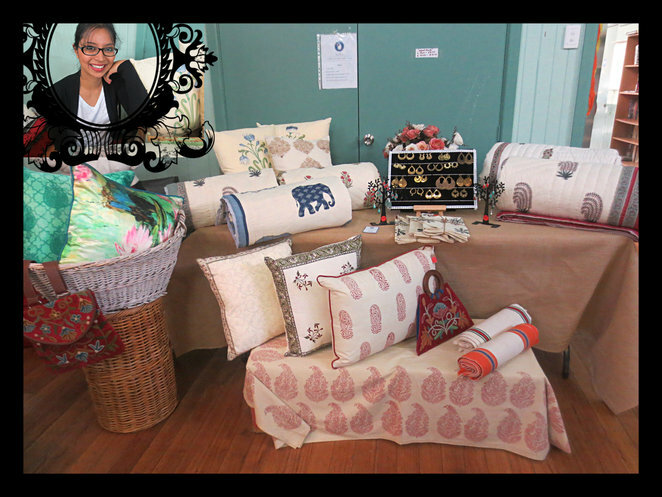 Looking forward to seeing you at the next Creator's Market in Prahran!